There are many similar reports out there that claim all sorts of positive associations, and they may sound convincing, but dig a bit deeper and you realise it’s a load of hogwash. Do you buy the above headline? I don’t, and unless you have a vested interest, I don’t think you do too. Why then do we take companies CSR/Sustainability reports at face value and indicative of their ethical business behaviour? 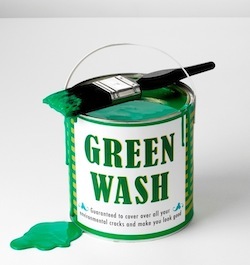 In the same way we brush off claims that product Z is the best in the market, or works 99.99% of the time as marketing gimmicks, demanding further proof, we shouldn’t be fooled by the marketing gimmicks of CSR/Sustainability reports, especially when deciding our purchasing, investment or employment decisions. Here are some examples of what companies are, are not saying, with their publications. MNCs like Shell, GDF Suez and Statoil are touting gas as the new green alternative source of energy. They claim that it can reduce EU’s CO2 emissions and is more affordable than other green alternatives, thanks to a new extraction technology called “fracking” and measures that show that burning gas in power stations produces half the CO2 emissions from burning coal. What they didn’t tell you is that because of the difficulty of extracting gas from rocks, fracking or no fracking, the process produces as much, if not more, CO2, and is susceptible to dangerous leaks of methane, which is 4 times as deadly as CO2 in climate change terms [here]. Furthermore, the process uses large amounts of water and chemicals, and evidence from the US shows that scarce groundwater has already been contaminated [here]. That, to me, is a fracking load of hot air. What Exactly is a CSR/Sustainability Report? The key here is performance over a fixed time period. In other words, how the company has performed on its issues compared to the last time period. … the issues that the company has decided to address this time round, why these issues are chosen first, how the company proposes to measure them, why these measures are chosen, a periodic comparison of the results against the last time period and an explanation, and future goals. This may seem like a mouthful, but the logic behind is simple. Why choose these issues? How do you measure them? Why are they measured in this manner? What are your targets? How did you perform? What can stakeholders expect the following year? If a company is genuine about their CSR/Sustainability efforts, they would have no problems communicating these issues, even if they fell short, and we would gladly assist them. Conversely, we believe that it is companies who publish obscure, vague or misleading reports that would not want us to find out the true state of their CSR/Sustainability efforts. Meaning to say they have something to hide. We’re not the only ones who have problems understanding obscure or misleading CSR/Sustainability reports. Elaine Cohen, CSR Consultant and author of “CSR for HR: A Necessary Partnership for Advancing Responsible Business Practices”, has observed the difficulties in making sense of the figures in CSR/Sustainability Reports [here] and CSR/Sustainability Reports that are, in fact, marketing collateral [here]. Here’s a somewhat sobering, though hilarious, account of a company’s CSR/Sustainability efforts and an email reply from an angry local [here]. Enjoy reading! Do you agree/disagree with us? Do you like the article? Let us know your comments and help Global Causeways share it.